Unique audio archive of Desmond Rochford World War 2 Commando Veteran. 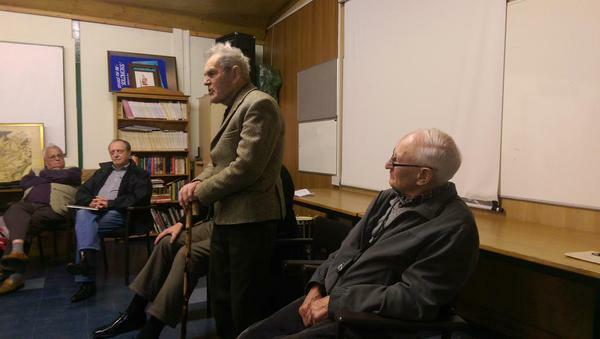 On 12th May 2015 we were fortunate to have World War 2 veteran Desmond Rochford recalling his Commando experiences in Yugoslavia, Albania, and Italy. For those of you who couldn't make it we have uploaded some excerpts from his fascinating experiences on the links below. Anders Lassen VC, MC & Two Bars served in the Commandos. The financial rewards or not of being in the Commandos. Detail of the Italian partisans and Lake Comacchio. What did a Commando wear on his head? Chetniks -The "other" insurgent units in Yugoslavia. The infamous Hitler Commando Order. The structure of the Commando units. Post war life for Des.